Ald. Edward Burke has submitted an ordinance to categorize offenses committed against police and firefighters as hate crimes. CITY HALL — If it's going to be a long hot summer for police and protesters in the city, it doesn't appear as if the so-called Blue Lives Matter Ordinance is going to be part of it. 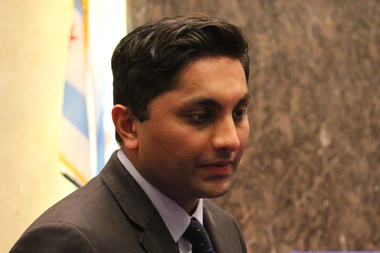 "I don't think the Blue Lives thing is moving this month," said Ald. Ameya Pawar (47th). "I hope not." Submitted by Ald. Edward Burke (14th) last month, the proposed ordinance would categorize offenses committed against police officers, firefighters and emergency medical technicians as hate crimes. Thus, it would offer law-enforcement officials the same protection against bias now extended to individuals on the basis of race, religion, color, ancestry and sexual orientation. It would also increase fines from a range of $25-$500 to $500-$2,500, and allow jail terms of up to six months. Ald. Ameya Pawar says he hopes the so-called Blue Lives Matter Ordinance isn't moving forward this month. The proposal, assigned to the Public Safety Committee, is not on the agenda for Monday's committee meeting, the last scheduled before July's City Council next week, and the Council typically does not meet in August. "Given the movement that's going on, I would appreciate it if we could address that at a later date," said Ald. Ariel Reboyras (30th), chairman of the Public Safety Committee, before Monday's meeting. "Not that this isn't important, because it is, this is very important. We just want to see if we can delay it a little while." 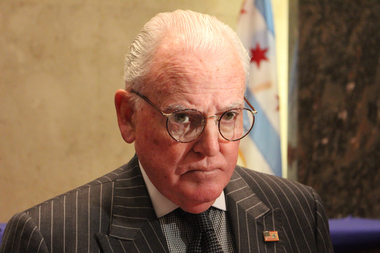 Although other aldermen have embraced the phrase "Blue Lives Matter" or "Police Lives Matter," Burke consciously avoided using it in the actual ordinance or the original release touting its introduction. Activists with the Bluest Lie Collective, an umbrella group including Black Lives Matter Chicago, have argued against it, insisting it would have a chilling effect on protests like the ones that shook the city over the weekend after a pair of police shootings in Louisiana and Minnesota last week, and the Dallas sniper attack Thursday on police monitoring a peaceful protest. The American Civil Liberties Union has likewise come out in opposition, labeling the ordinance a "distraction" in the ongoing debate between protesters and police. Pawar has said the issue threatens to polarize an already divisive debate. Following the Dallas attack on police officers, he said, "We have to come back to the middle and find some common ground." The committee also moved to consider a proposal submitted by Ald. Leslie Hairston (5th) to create an independent citizen monitor for the Police Department as part of a reform package under a joint Budget-Public Safety Committee.